"You should have killed me," were Bekker’s parting words - perhaps he was right. All through the humiliations of the trial, the horrors of imprisonment, the daily agonies of not having the drugs that kept him humming, Bekker takes solace in the thought that one day he will make Lucas Davenport pay. Minutes before the jury’s verdict, Bekker slays his prison guard and escapes into New York City. Hiding himself in an elderly woman’s home, he continues to conduct his gruesome experiments, searching the eyes of his victims for the meaning of death. Now, with Davenport back on the case, it is only a matter of time before the two men face each other in a final showdown. I was concerned about this book from the lukewarm reviews, but I liked it a lot. Yes, he recycled the villain from the last book, but the other underlying thread of police vigilantes made up for it. While the Becker thread was always in the fore & it was the weaker of the two. It was a bit predictable, especially at first, but a reveal in the middle picked it up. The politics & suspicions of the vigilante issue popped up just often enough to add an edge & then made for a great ending. Again, I didn't see one of the reveals coming at all. I really appreciated that. Davenport continues to evolve as a person. His fear of & recovery from flying was a bit over the top, but that was OK. His lack of direction & the way he viewed NYC were great. I love Richard Ferrone's delivery of the story. 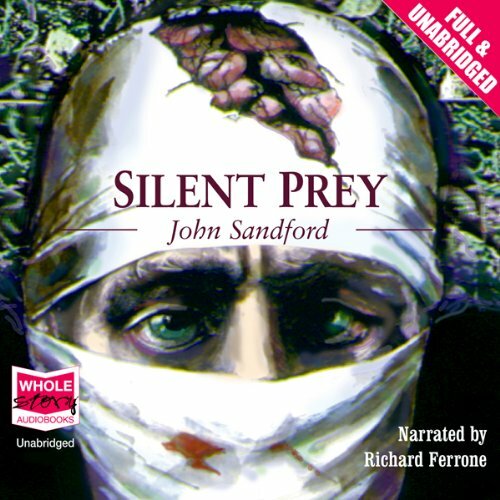 If you could sum up Silent Prey in three words, what would they be? these John Sandford books are simply great,and I am completely addicted,what did I ever read before? Just finished my 3rd 'prey' novel and moving quickly into my 4th. Enjoy these books a lot and narration great. Thankfully there's lots more to come.